For seven years local woman Emily Routledge worked in a stunt show as a human cannonball where she was catapulted 60ft in the air, night after night. In January this year however, 26 year old Emily made a dramatic career change when she joined the Home Instead team in Truro. 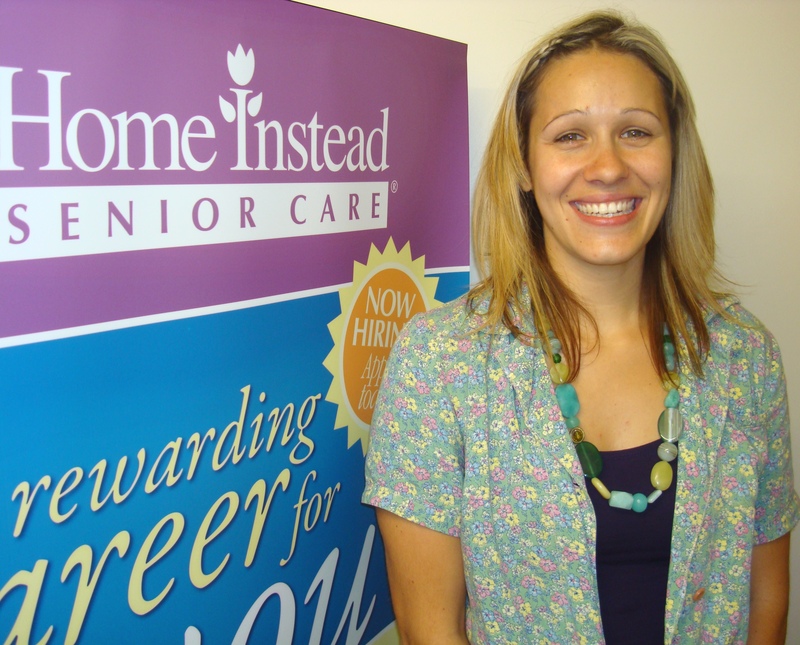 After working for just 6 months as a caregiver for the company, Emily has been promoted to the position of Recruitment and Retention Officer. Emily’s career change has resulted in her taking on a new role that includes creating job adverts, interviewing, recruiting and training new staff as well as managing the well-being of the current team. Despite the radical change of pace, Emily is confident she has found her true calling and is thrilled with the rewarding nature of the job she has taken on. Home Instead services include personal care such as assistance with bathing, dressing, eating and medications; home help covering all aspects of day-to-day housework, shopping, meal preparation and household duties plus companionship services that can involve everything from escorting clients to appointments through to simple conversation and good company.